The development of these national waterways will boost the Inland Water Transport, besides, exploit the tourism potential on the national waterways of the state and improve the socio-economic profile of people of these areas. 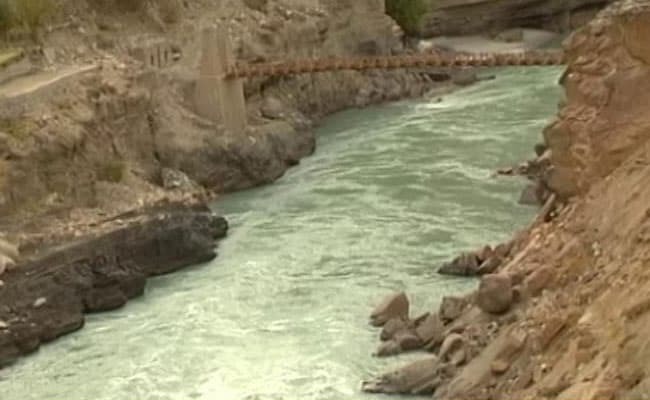 Jammu: Four major rivers, Jhelum, Chenab, Indus and Ravi in Jammu and Kashmir have been declared "national waterways" by the union government, paving the way for inland navigation on them to boost water transport and tourism, the state government has said. "The Union government has declared four rivers namely Chenab, Indus, Jhelum and Ravi as national waterways, which would be developed in a phased manner," Minister for Public Health Engineering, Irrigation and Flood Control, Sham Lal Choudhary said. "The development of these national waterways will boost the Inland Water Transport, besides, exploit the tourism potential on the national waterways of the state and improve the socio-economic profile of people of these areas," he said. Mr Choudhary, speaking on a discussion on the demand for grants of PHE, I&FC departments in the Legislative Assembly last night, said under the Rs 399.29 crore Comprehensive Flood Management Plan for river Jehlum, Phase-I, an amount of Rs 177.20 crore has been utilised against the released amount of Rs 196.12 crore. "To take the project forward, formulation of DPRs of Comprehensive Flood Management Plan of river Jehlum Phase-II worth Rs 1684.60 crore under PMDP has been entrusted to WAPCOS, an empanelled agency of Union Ministry of Water Resources and it has been directed to complete it within three months," the minister stressed. To meet future flood challenges in the Jammu region, the Flood Protection to River Chenab project at a cost of Rs 2,314 crore has been conceptualised and the DPR has been submitted to the Union government, he added.